Modern client hand held mirror offers a premium look and feel. This Elite Mirror offers an elegant long handle with contemporary square mirror. Black matte premium finish. 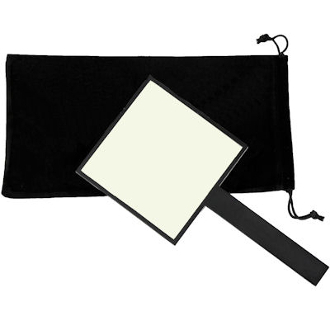 Mirror comes beautifully packaged in protective matte velveteen storage bag with drawstring closure. Size 10.5” Length by 5” Width.